Some people call them Personalised USB memory sticks click here. Check out our Personalised USB Men by clicking this link. The personalised USB Flash Drive Range here is very extensive. We carry every size currently available, which includes 16MB, 32MB,64MB, 128MB, 256MB, 512MB, 1Gig and 2Gig flash memory sticks, which is ample for backing up any data including music files. Customised USB Flash Drive Range from Calendar Lady Promotions, always helping you to stay ahead of the game! Here at Calendar Lady Promotions we are extending our whole company, and this includes our USB Flash Drive Range. USB Flash Drive Range from Calendar Lady Promotions for ALL your Personalised usb Flash Drives. 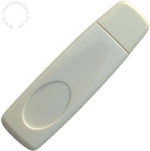 Each of our Personalised usb flash drives come with your business details and company logo printed on to ensure that YOU will always be advertised. These handy data storage devices are brilliant for backing up your files and popping it into your pocket or on your keyring. For more information about our USB Flash Drive Range fill in the contact for and we'll get back to you as soon as possible. 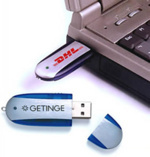 Our USB Flash drive with logo comes in many colours, styles and a very varied memory range. These little memory sicks are a wonderful promotional gift, especially if your a computer company or maybe just internet friendly!